Jag håller inte med om allt men jag tycker att det är ett viktigt inlägg i debatten och det ska finnas kvar för framtida domar. Polariseringen i debatten är fortfarande påtaglig och beröringsskräcken för många av dessa frågor är beklämmande. Jag vet inte vem som ligger bakom swedenreport.org, men här är hans(?) sista inlägg, från 2,5 år tillbaka. This is the last post on this blog. 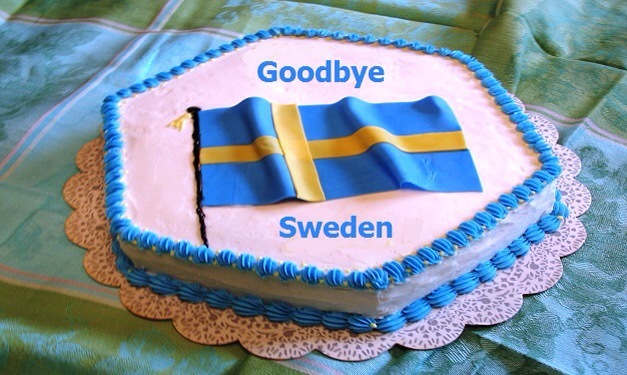 I am leaving Sweden for good shortly, and will no longer be following its descent from what was once the third most prosperous country in the world. Frankly, it’s just too damn depressing. I was born and raised in Sweden, which leaves a cultural mark even though I moved to USA in the 1990s and have spent the better part of my adult life as an American. Coming back for a few years has been a shocking experience. When I was a child, Sweden was a dull yet very safe place to live. Yes, there was a heavy blanket of socialism and collectivist values covering everything, but there was a core of pragmatism beneath the redness. The intention and goal was always to benefit the citizens, even though they went about things in a backwards manner. Today, it’s as if the inmates are running the asylum. The politicians are participating in a chicken race of “goodness” where everybody tries to one-up each other in caring for the citizens of OTHER countries while Swedish retirees, school children, handicapped and other vulnerable categories of people are thorougly ignored. Violence is exploding. Jihadist Trojan horses are flowing through the porous border along with the tens of thousands ID-less refugees. But what makes me the most pessimistic about Sweden’s future is how the social fabric itself has been undermined. Now, to be clear, it is my opinion that modest immigration is healthy for society and beneficial for trade, cultural development and so forth. Protectionism as a concept is counter-productive, while free trade and the ability for skilled labor to go where they’re in demand is beneficial for everyone. Having said that, what Sweden is doing is something completely different. The once homogenous population has been forever altered by a rapid and massive addition of people from vastly different cultures and value-systems. 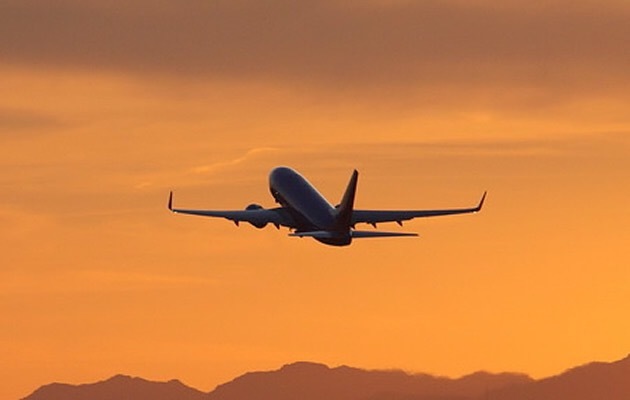 26,8% of the population is now foreign-born or with at least one foreign-born parent, and the national census bureau estimates that some 150 000 per year will arrive to the country of just 9,8 million residents. There simply is no possible way to absorb and assimilate such volumes of people, period. Then you are merely creating ethnic enclaves, which due to incompatible language, culture and job skills become ghettos, which in turns brews crime, misery and extremism. Once the inflow has exceeded the capacity for absorbtion, further immigration only makes the problem worse. It’s like someone having read that a cup of green tea per day is healthy, so they make it a policy to chug four gallons per day, every day. It’s a good thing overdone to the extreme until it becomes toxic. Then you have the Swedish school system. There really is no nice way to put it; it’s a complete disaster. 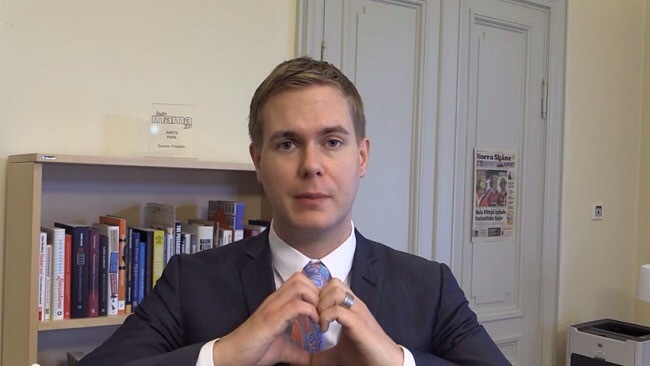 The minister of education is a man-boy who spends his time making Youtube-videos showing heart-signs with his hands to boost school results, while university-level students can’t read and comprehend the course literature. That’s not exactly fertile soil for creating the researchers and engineers of the future. Financially, Sweden is an oddity in that it never had its real estate correction when Lehman Bros went belly-up and the housing market everywhere in the West crashed. Sweden just kept steaming ahead, which means housing is ridiculously overinflated. In Stockholm, the real estate prices increased 19% and in Gothenburg 24% in the last 12 months alone — from an already sky-high level. Tear-down abandoned house from 1932 with small, unremarkable lot in the outskirts of Stockholm. Current bid: 7,5 million SEK, or close to $900,000. As a result, personal debt of the Swedish population is at an all-time high. To keep all this afloat the normal mortgage interest rates are at 2% with central bank Riksbanken at -0,25%, and yet a significant portion of the borrowers are hanging by a thread. If and when foreign banks and investors decide it’s time to turn their backs on Sweden (as happened in the early 1990s) there’s going to be a lot of pain. Then you have the financial obligations going forward. Like much of the western world, there is a demographic change where fewer tax-paying adults are to support a glut of retirees. What makes it especially dire for Sweden is that in addition to the old Swedes, there’s also a ton of elderly immigrants that are granted “family visas” based on younger relatives having been granted asylum. They’ve never paid a dime in taxes, yet enter the system with full benefits from day one. In theory, this would be made up for by the younger relatives working and paying taxes. Sadly, this is not the case; while ethnical Swedes have a 82% employment rate, immigrants only have 57% with non-Europeans coming in at just 51%. If Sweden was a person, it’d be like the guy with three mortgages, seven maxed-out credit cards and four collection agencies chasing him that just signed a lease for a brand new BMW X6. Simply put, there’s a lot of red ink in the future; it just hasn’t been fully realized yet. Finally, there’s the sorry state of the Swedish defense. After decades of constant slashing of the defense budget, the extent of Swedish ambition is to stall an invader for a week in a limited area. This with war raging in Europe, Russian missiles pointed at Sweden in Kaliningrad, and Russian submarines and bomber jets openly thumbing their nose at Sweden as they intrude on Swedish territory on a regular basis. The power vacuum in Scandinavia is so tangible you can almost hear a sucking sound as you fly over it. This, too, will require massive investments when the penny finally drops amongst Swedish politicians. So while I can’t claim to be any kind of authority on macroeconomics or social predictive models, I see red lights across the board. In some ways, I’d compare the country to a farm. Previously, Sweden acted like a sensible farmer and planted wheat here, carrots there, potatoes over there et cetera, by implementing free schooling, sound infrastructure investments, state-financed research and so forth. A few decades later, they reaped the rewards and climbed the prosperity ladder. In the late 1960s, this pragmatic line was abandoned as leftist idealist Olof Palme took over. But there was plenty to harvest from previous years, so Sweden continued to be the land of milk and honey for a good long while. Then things started drying up, and the process has been one of gradual erosion and decline since the 1990s. The famous Swedish health care system is a good example. 120 000 hospital beds in the late 1960s became 20 000 today. Cancer patients are put on waiting lists for months. Entire emergency wards shut down for summer. The crumbling Swedish railroad system is another symptom I examined in-depth last year. The aforementioned defense that now consist of about three fat generals and a rusty rifle (bullets withheld for budgetary reasons). A sensible farmer would see the problems for what they are and hurry to plant new seeds, so as to return to bountiful harvests of wheat, carrots, potatoes etc. Instead, the Swedish politicians goes by dogma and plants what they think SHOULD grow. So they plant M & Ms, hot dogs and pretzels. The results won’t be fully evident for a few years yet, but as the last reserves of the old harvests are depleted, things will get… Interesting. From what I can see, there simply is no plausible scenario where these social tensions and future financial committments will not lead to a downward spiral of hardship and strife. I hope I’m wrong. I really do, because I have friends and family I care about that will remain here to see it all play out. But I won’t. I’ll be back in the US being mad at Obama for being a lying scumbag. And if Trump manages to get elected in 2016? Whoo boy. A racist ignoramus who takes pride in the worst qualities of a cranky eight-year old should make George “Dumbo” Bush seem like Abe Lincoln by comparison. So every country has its problems. 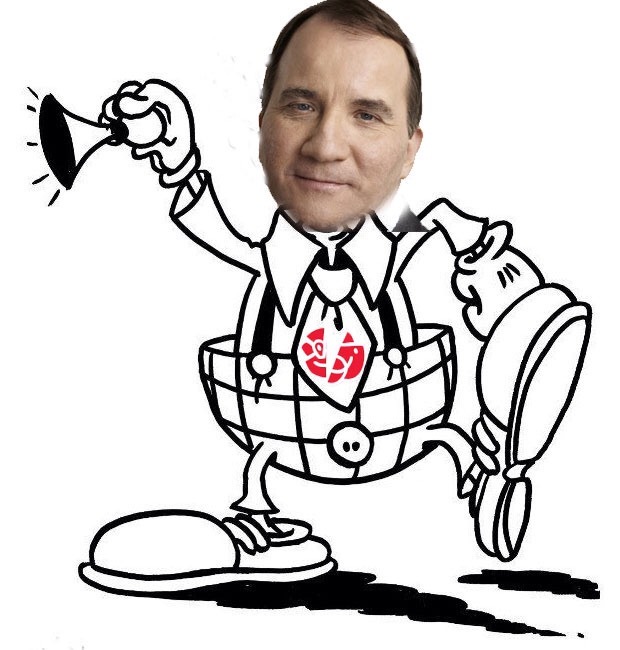 USA has its corrupt yokel in office, just as Sweden has Stefan Löfven. I’d like to thank you for having followed this blog and your many insightful comments. It’s been a wild ride at times with heated debates, but it’s been fun — even when I got hatemail from both left-wingers and right-wingers over the same article. So thank you, and good luck whereever you are. En väldigt vanlig frågeställning när man pratar om att bli ekonomiskt oberoende är: hur skulle det gå om alla gick i pension (levde på investeringar). Det nämns bland annat i denna artikel om ett par som tänker gå i tidig pension. Bra svar i artikeln. Mest troligt kanske att det aldrig skulle inträffa i sån omfattning att det skulle märkas i ekonomin, men låt oss hårddra det och filosofera lite. Målmedvetna unga människor slutar jobba. Då blir givetvis efterfrågan på skicklig arbetskraft större, så vi får en löneinflation, vilket får till följd att det blir ännu lättare att ta sig ur ekorrhjulet. Det här är jag inte helt övertygad om, då många säkert vill bo i hyfsat stora städer även när de är fria, men då får fler i alla fall möjligheten på riktigt att flytta ut till billigt boende på landet eller i mindre orter, om man inte behöver bry sig om att hitta ett arbete. Det här kommer att vara en förstärkning av vad vi redan ser sedan lång tid tillbaka. Lokalt tillverkade varor kommer att stiga mer i pris ju färre människor som vill tillverka dem. Så länge samma sak inte händer i andra länder kommer dock de flesta importerade varorna att vara billiga. Skillnaden är redan enorm och skulle bli grotesk. Visst skulle vi, som artikeln säger, fortfarande betala moms, kapitalskatt och så vidare, men det gör ju folk ändå nu för tiden, plus att de betalar alla löneskatter. För att väga upp förlusten ”måste” ju staten ta in skatterna på något annat sätt. Då lönerna stiger kan de ju pungslå de färre arbetarna med lite högre marginalskatt, men de måste också ge sig på dem som har brutit sig fria, vilket de gör enklast genom att chockhöja skatten på ISK. Om många i princip lever på utdelningen måste ju staten konfiskera den inkomsten. Arbetskraftsinvandringen skulle få helt andra proportioner än nu, då många hålls tillbaka av oklara regler och osäkerhet om att få stanna. Skulle det saknas skattebetalare och kvalificerad arbetskraft samtidigt som vi har så många fina globala företag i Sverige skulle skatteintäkterna kunna räddas av att efterfrågad, högutbildad arbetskraft skulle komma hit från länder som ännu inte nåtts av en utarmning av arbetskraften, typ Indien och Kina. De unga pensionärerna skulle givetvis flytta till varma, gärna billiga länder, åtminstone under vinterhalvåret. Sverige riskerar att bli som en semesterort, tänk Visby, på vintern. Nu märker jag att jag svajar lite i argumentationen. Jag kan inte bestämma mig för om vi verkligen får färre som arbetar eller om det kommer in nya, som ersätter de som går i tidig pension. Men om det blir färre som arbetar kommer Sverige åter att ändras dramatiskt i samhällsbyggnad och hur en normal dag upplevs. Trafiken kommer att minska drastiskt, men kanske mest jämnas ut. Det måste ju de facto till en fantastisk överkapacitet i trafiken om de flesta ska ut och åka ungefär samma tider. Om det sprids ut mer kommer vi inte att behöva bygga ut vägnätet på länge länge i Stockholm. Folk kommer givetvis i mycket mindre utsträckning åka bil, då det mesta har med arbete att göra. Visst, man kommer att göra utflykter istället, men man kommer att promenera och cykla till skolor och dagis då man har lite mer tid, så vardagsåkandet kommer att minskas väldigt mycket. Närmiljön kommer också att vara mycket trevligare. Nu när jag är ute och går i förorten på pappaledigheten träffar man bara på några kufiska dagdrivare och andra kufiska föräldralediga. 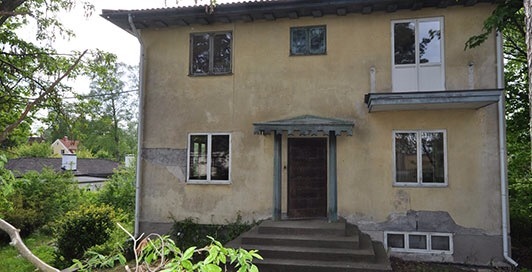 Med en massa drivna och kreativa tidiga pensionärer kommer bostadsområdena vara fyllda av liv och rörelse istället. Kanske blir det inte några nya kaféer och restauranger dock, det är ju sparsamma människor vi pratar om. Självklart måste staten också se till att vägra statlig pension till de som sett till att fixa det själva, bara för att de kan. Det går nog att lagstifta så att de tidiga pensionärerna inte får ut ett öre i statlig pension. Miniminivån ”garantipension” kommer att villkoras till att åren med frivilligt icke-arbete inte alls räknas, precis som det är för invandrare som varit mindre än 40 år i landet vid pension. Det paradoxala blir då att om man var arbetslös och levde på A-kassa och Soc. en längre tid har man ändå rätt till pension. Staten måste ju faktiskt ta hand om alla, även om de aldrig bidrar. Ja, BNP sjunker för Sverige. Eller också blir vi produktivare när vi blir fria, för att många av oss hittar sin passion och skapar nya, bättre varor och tjänster! Men samtidigt är den tidiga pensionären sparsam och icke-konsumistisk till sin natur, men det kanske bara betyder att vi importerar mindre skräp. Det är allt jag kan komma på nu, men jag skulle vilja ha mer idéer kring detta, så kommentera! Jag redovisar ju sällan sparkvoten, mest för att vår ekonomi är lite rörig, med många konstiga sällanutgifter och aningen oregelbundna inkomster. Dock har jag följt upp utfallet av budgeten, eller gått igenom spenderandet, under hela 2017. Det visar sig att om jag inte räknar med fruns engångsbonus 2017 blir sparkvoten ca 25%. Om jag räknar med den bonusen men inte med min egen optionsbonus blir sparkvoten ca 50%. Räknar jag med alla inkomster, även min optionsbonus, blir sparkvoten fina 85%. Man kan sammanfatta det med att vi inte är så bra på att spara från våra inkomster, men vi blåser inte våra bonusar. Jo, jag har H&M… Ska skriva om det senare. I övrigt inte mycket nytt. Mycket bra julfirande och inte alltför dyrt.